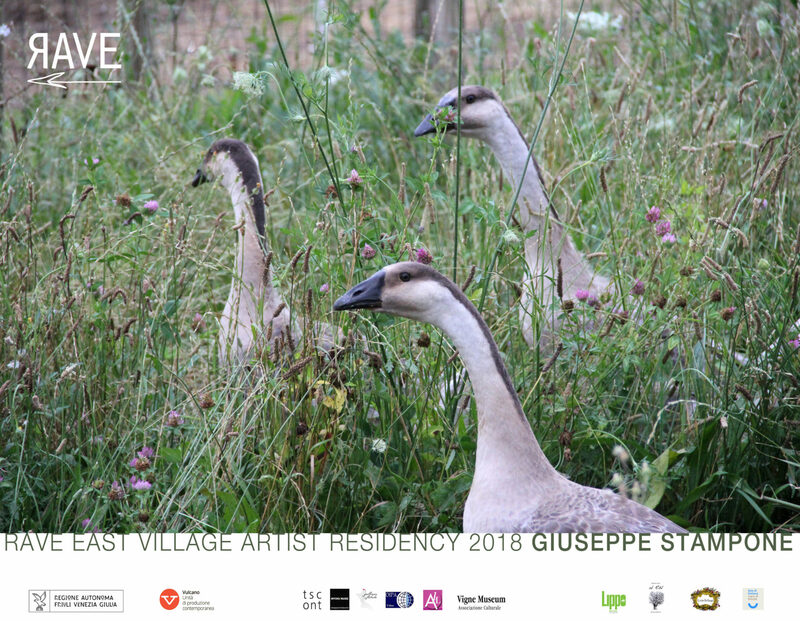 Giuseppe Stampone, one of the most interesting Italian artist of his generation, will be the leading light of the 2018 edition of RAVE East Village Artist Residency, the artistic project at its eighth edition that every summer hosts in the Friuli countryside one of the most significant artists in the international panorama. The aim is to let the artist conduct his research in a context where the coordinates of a different way of coexistence are offered, in an attempt to overcome the anthropocentric filter. The artist’s research in the residence is backed by dialogues and debates to investigate the possibilities of art, today, to intersect with the real data, illuminating the shadows of our time and offering new glances and margins of action. The meeting will begin in Trieste Contemporanea, Friday, July 13th at 6.30 pm, with Giuseppe Stampone’s talk Drawing as a practice of resistance, in dialogue with Matteo Lucchetti and Teresa Macrì. Saturday, July 14th, from 4.30 pm, a series of meetings will take place at the headquarters RAVE, in the beautiful setting of the historic village of Soleschiano, Manzano, Ud. Starting from the projection of the works realised at RAVE in the past editions, it follows a preview of Giuseppe Stampone’s project, edited by Maurizio Bortolotti and Tiziana Pers, and the round table on The village Saturday, moderated by the curator Pietro Gaglianò. Among the participants: Leonardo Caffo, Matteo Lucchetti, Teresa Macrì, Gabriela Galati, Amos Bianchi, Lori Adragna, Francesca Agostinelli, Giovanni Gaggia, Silvia Allegri, Daniele Capra, Giuliana Carbi, Giovanna Felluga, Domenico Stinellis, Gino Colla, DMAV, Elena Tammaro , Eugenio Fogli, and many others. The uniqueness of this moment is given by the meeting between the participants and the animals saved from the slaughterhouse. The talk area will be in fact set up among the meadows where the animals live: Wendy and Copper the horses, Toni the donkey, and the new arrivals, rescued and welcomed at RAVE in these days, Ramses, Cleopatra and Caterina the geese, and Lorelei the pig. During the summer Stampone will also hold a laboratory together with a heterogeneous group of children from primary school. With them he will open the possibility of a new Abecedario to re-found the thought on the animal question from the origin. The portraits created by the artists, together with the children workshop results and a map of experiences and interactions with animals and natural elements, will give life to a new narration collected in a guide that will become an artist’s book. RAVE opens the discussion on the role and responsibility of contemporary art towards animal alterity and on the need to rethink a biocentric and antispecist perspective. 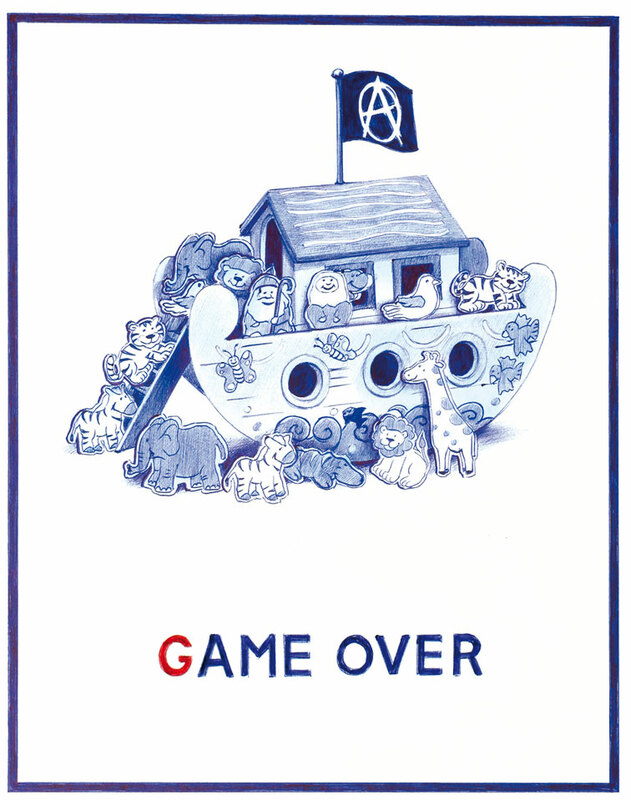 It is also an experiential moment, where the participants, including artists, philosophers, critics, activists, architects and poets, share space and time with the animals saved by the slaughter, and the food, respecting all sentient beings, is vegan. In the splendid setting of the historic village of Soleschiano (municipality of Manzano, Ud), the meetings between human and non-human animals, between individual sensitivities and interdisciplinary dialogues, between the artists research process and the looks of the absolutely other, will spawn a plurality of original and experimental visions. The artists from the previous editions are Adrian Paci, Ivan Moudov, Regina José Galindo, Diego Perrone, Tomás Saraceno and Igor Grubić. RAVE is a participatory project conceived by Isabella and Tiziana Pers with Giovanni Marta, realized thanks to the support of the Autonomous Region of Friuli Venezia Giulia, the main partner Vulcano unit of contemporary production, and the collaboration with Trieste Contemporanea, ALL / University of Udine, Oipa, Musiz Foundation, Gallinae in Fabula and Associazione Vigne Museum. Thanks to: Banca di Udine Credito Cooperativo, Agriturismo ai Conti di Maniago, Agriturismo al Rol, Lippo agricultural beer, Livio Felluga, Baia di Sistiana.